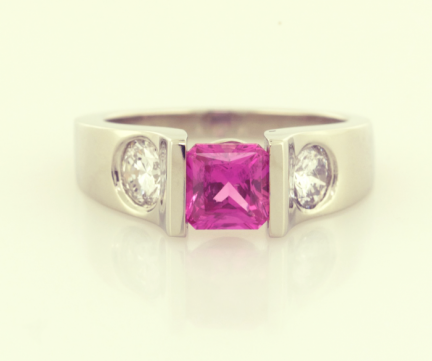 This recent creation in 18KT white gold really shows off the intensity of the hot pink sapphire. 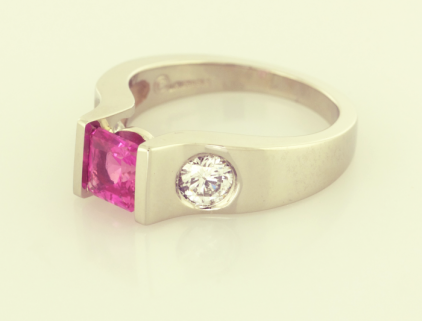 1.21ct. 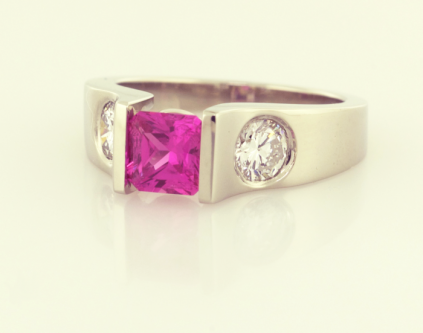 princess cut hot pink Ceylon sapphire and two round diamonds .35ct.each set in 14KT white gold ring. a copyrighted original from Thomas Michaels Designers, Inc.